Award winning Fine Art photographer Darlene DeVita is renowned for her spirited wedding photography that captures the big (& little) in the Big Day. Clients and fans consistently describe Dar’s images as engaging, fresh and elegant. Her creative eye, patience, humor and unobtrusiveness have made her one the most sought after photographers in Greater Boston. Between photographing weddings and exploring her fine art world, Darlene shoots portraits at her studio in Chelsea. She is a strong believer in community. She manages the Gallery@Spencer Lofts, served as a member of the Chelsea Cultural Council and is a co-founder of CHARCOLL (Chelsea Artists Collaborative). 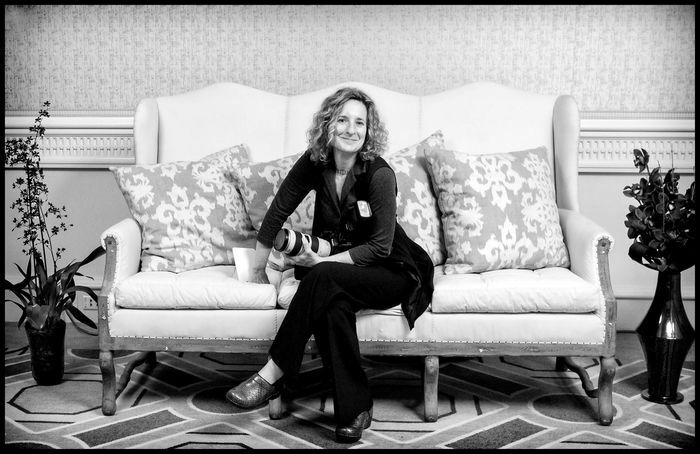 Darlene also teaches photography at the Ivy Street School in Brookline and the Shutterbugs program for the Pablove Foundation (teaching children living with cancer to develop their creative voice through the art of photography). Her fine-art work is exhibited at galleries and restaurants throughout the region.